Calabash Cove Resort, St Lucia 5.0 out of 5 based on ratings. 5 user reviews. 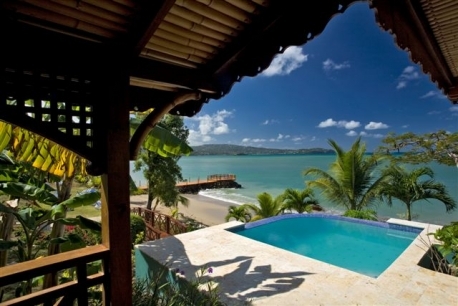 The hottest new hotel on St Lucia is the ultimate in luxury and seclusion! Calabash Cove Resort & Spa is a luxury boutique hotel on the north-west coast of the beautiful Caribbean island of St. Lucia. The resort consists of twenty-six suites, all with jacuzzis and many with private pools, a restaurant and ****tail bar, library and games room, infinity-edge pool and a spa and fitness center. Calabash Cove features a secluded white sand beach, with a custom-designed boardwalk, perfect for a candlelit dinner or romantic sunset stroll, and is tucked away on a gently sloping hillside overlooking the Caribbean Sea and Bonaire Bay at Mason Point on the northwest coast of Simply Beautiful St. Lucia.